Susanne Weins is a German vocal artist, voice trainer and certified Roy-Hart teacher. With backgrounds in classical and Extended Voice, her work encompasses approaches to a variety of vocal techniques, experimental voice work and the knowledge of linguistic teaching and research. She is the founder and director of the Atelier Performative Künste, a voice formation and performance production space in Cologne, Germany. Through a targeted use of the body and movement, she seeks the greatest possible flexibility of the voice. Her performances circulate around the notion of "how to do things with words". Sašo Vollmaier is a Slovenian pianist, composer, performer and teacher. He worked at numerous European theatres and teaches at musical institutions. Between 2007 and 2013, he was the keyboard player of the avant-garde music group Lajbach, an experience that was crucial in his understanding of industrial music, politics and awareness. Since 2013 he is based in France, where he discovered voice work and Roy-Hart-Theater, starting a variety of international collaborations. 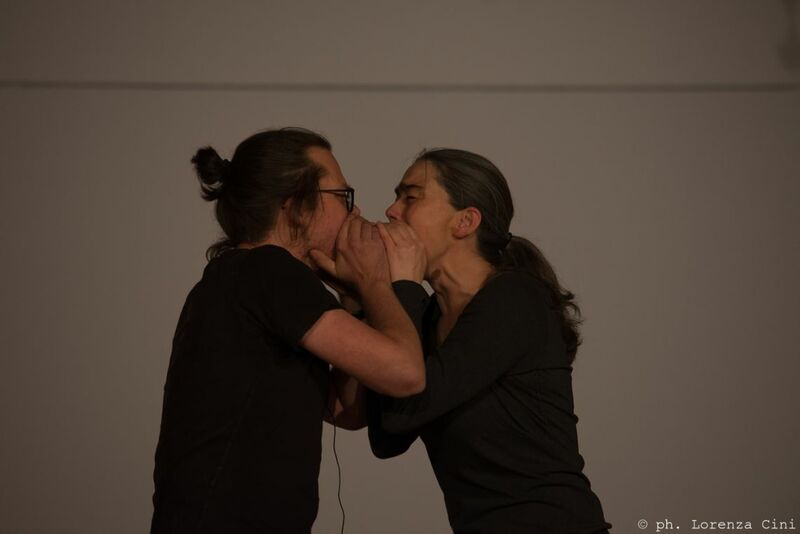 At the VENICE INTERNATIONAL PERFORMANCE ART WEEK 2016, Weins and Vollmaier present the collaborative VoiceBodyPerformance Fragile Breath, set in a soundsbodyspacescape. They inquire the fragility of breath and its permanent transformation, in slightest emotional landscapes and minimal corporal, mental and spiritual changes.